Discover the timeless elegance of our hotel in Buckhead, GA located in the heart of this vibrant business, shopping and entertainment district. 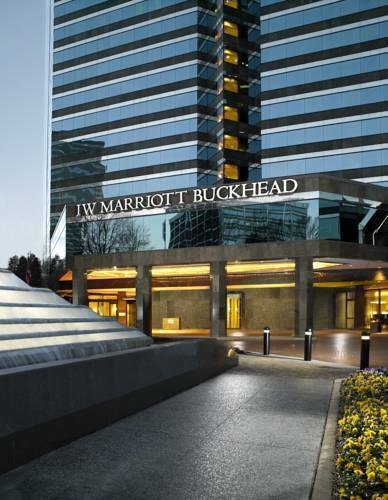 The JW Marriott Buckhead is connected to an upscale shopping center, Lenox Square, and is conveniently situated across the street from the Lenox MARTA station. This hotels luxurious environment in Buckhead, Atlanta has been crafted for approachable leisure. Located mere steps from Phipps Plaza, Legoland, fine dining, Buckhead spas and nightlife, this hotel in Atlanta, Buckhead offers 371 exquisitely decorated rooms and over 21,110 sq. ft. of eloquently modern event spaces. Experience a gorgeously designed lobby, deluxe amenities and personal service at one of the most extravagant hotels in Buckhead, Georgia. Network with co-workers and friends during lunch at Nox Creek Lounge, or take a short drive to the Georgia Aquarium with the kids. Whether staying for business or leisure, experience what a deluxe hotel near Buckhead, GA has to offer at the JW Marriott. Serving your delicious breakfast favorites, and available for private lunch, and hospitality events. Serving Starbucks coffee with breakfast & lunch items to go & free WiFi. Open daily for lunch, dinner, cocktails, and late night dining. Indulge in a sophisticated night on the town with this luxurious destination delivering true southern comfort, free WiFi.